I know you're probably wondering why I'm posting this yummy goodness right at the tail end of my Whole 30 journey. I assure you, I have NOT fallen off the wagon! 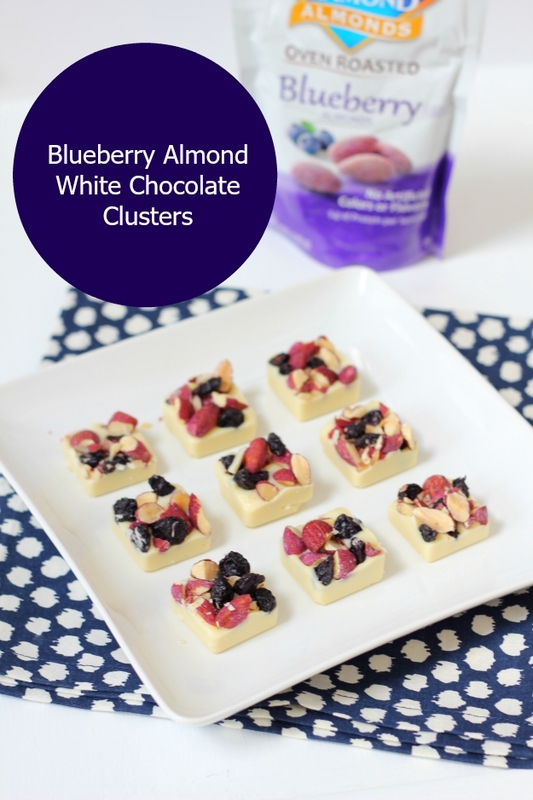 These blueberry-almond white chocolate clusters are going straight to my freezer to enjoy during the upcoming labor day weekend. I told myself I would ease back into sugar after the Whole 30. And by ease, I mean bite size, perfectly portioned, partially whole food goodies like these. 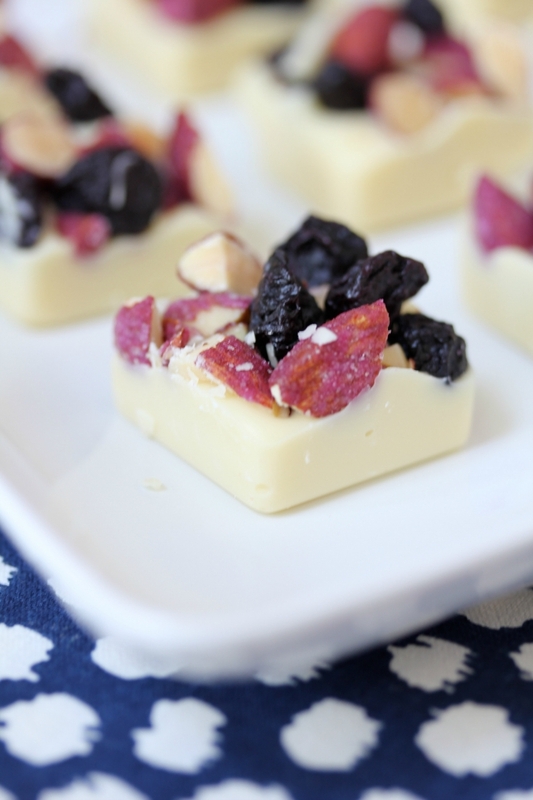 It's just a little white chocolate with some almonds and dried blueberries. No harm in my book! Making these could not be any easier. 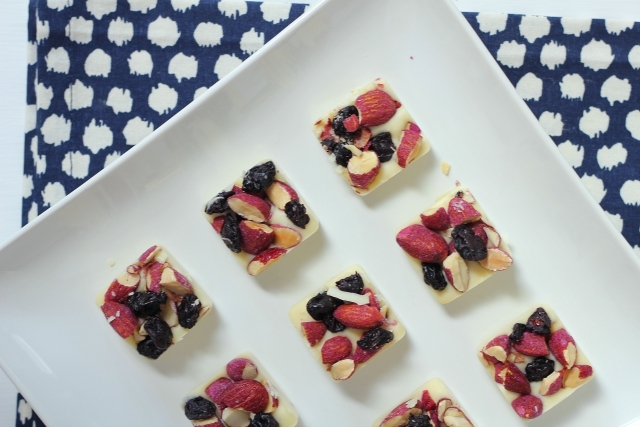 Simply melt your chocolate, pour into silicone ice cube molds and cover with blueberry almonds and dried blueberries. Now if I can just resist temptation for a few more days! Melt chocolate according to package directions. Pour into trays and tap the tray to allow the melted chocolate to settle. Next sprinkle almonds and blueberries over the top of the chocolate clusters. Freeze until chocolate is set or until ready to serve. *This post is sponsored by Blue Diamond Almonds. All opinions are my own.